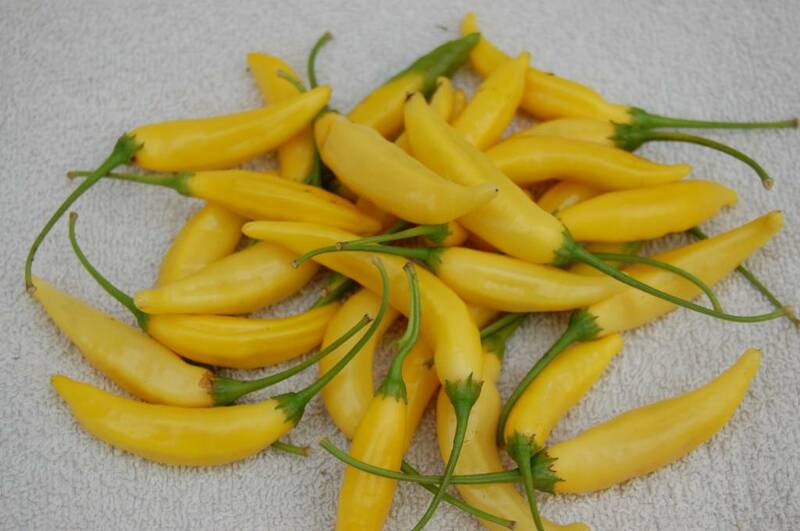 A very fruity Capsicum baccatum variety. Very high yielding. A very special aromatic. Very cool plants, they grow around 3 feet. A very typical baccatum plant model. Haverst are in the late season but the yield is very good. Decent, year by year trustable. 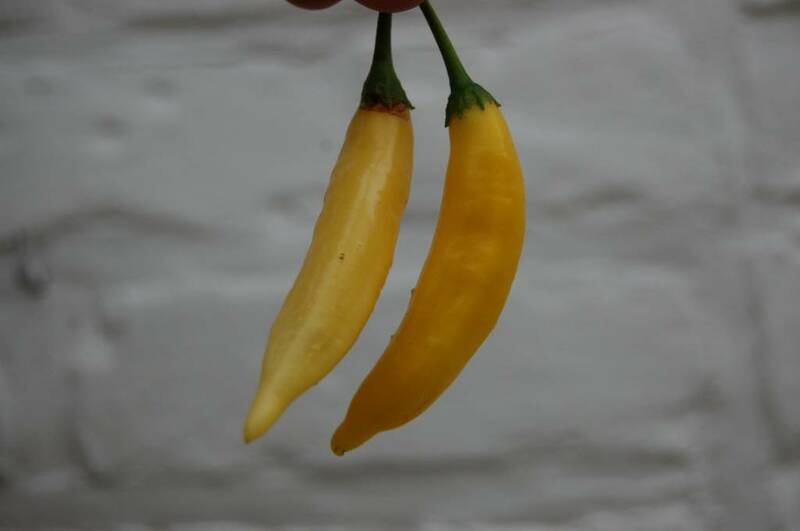 The yellow pods contain less seeds then other samelike types. 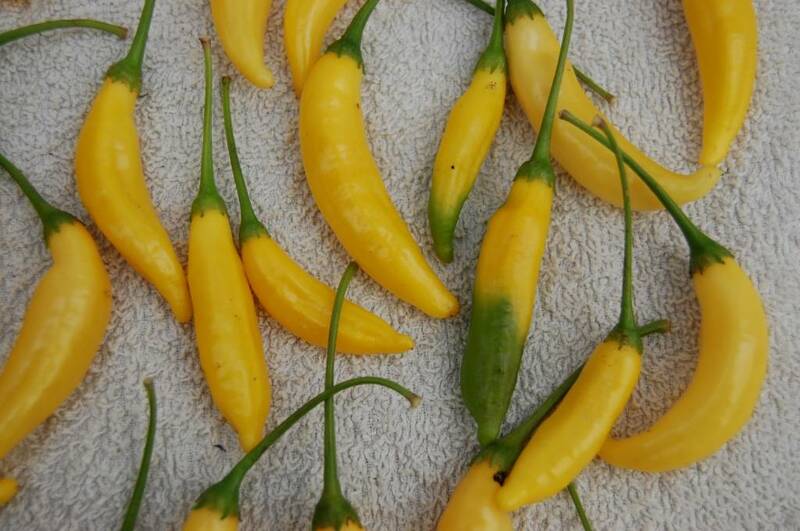 The meat is crispy and thick for this kind of pepper. A very good aroma, somewhere citrus. This citrus is not overwelming when using it in dishes. A nice good heat without overpowering it all. High usability in the kitchen.